At HHV we live and love an urban lifestyle. For 17 years, this dedication has been reflected in a unique range in our online shop. The range spans an arc from vinyl records to streetwear right up to sneakers, everything under one roof. Our vinyl shop stocks over 70,000 releases – one of the world’s largest selections of vinyl records online. We also focus on high quality urban fashion brands and a range of stylish sneakers. All selected carefully and with great attention to detail. The story of HHV starts at the end of the 1990s – at a time where the rare vinyl LP was not just a mouse click away. Hip hop music from the USA, especially that outside the mainstream, was difficult to get hold of in this country. At the time you could hardly buy it on vinyl – let alone for a fair price. The idea of changing this, in 2002, was the foundation for what is today HHV. What started as a small record store in Berlin-Friedrichshain, soon became an online shop. Musically it did not just stop at hip hop and rap. The range of the vinyl shop of HHV gradually expanded, first with the genres of funk and soul, and later with numerous further styles of music such as house, techno, rock, folk and jazz. 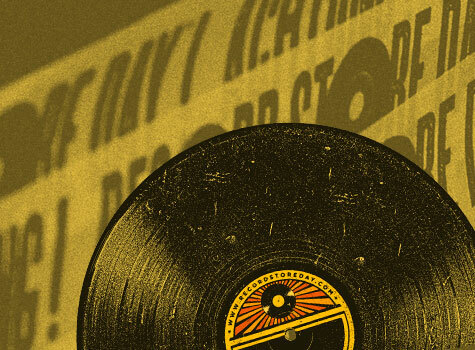 Whether Stones Throw or Melting Pot Music, whether Daptone Records, Warp Records or XL Recordings – many very different record labels found a home in our vinyl shop. Since then, the selection criteria have no longer been based on a particular style, but increasingly on quality. The latter is also the basic motive of the releases from our home label HHV, which was formed in the course of our gradual further development. It enables us, alongside our label Project: Mooncircle, to work closely with musicians and label operators and create releases according to our own taste. But it is not only the music section which has experienced organic growth these past years. The whole range at HHV has gradually grown. First, band merchandise was added to the repertoire. Then, later on, came clothing and shoes. Today, HHV is no longer just a vinyl shop, but also a streetwear shop and a sneakers shop at the same time. Accessories, books and magazines round off the range. In our urban fashion shop we stock a wide range of brands. The classics such as Carhartt WIP, Nike or Stüssy are all there, as well as younger brands, e.g. Wemoto, Ucon Acrobatics and HUF. Contemporary menswear brands such as Wood Wood, Soulland and Libertine-Libertine also have their place with us. We are constantly following current trends and getting fresh collections into the shop. Thus, the fashion conscious can find contemporary streetwear with us, in stylish cuts and designs – from t-shirts, sweaters and hoodies to pants, shirts and jackets right up to caps and beanies. The range also includes our own apparel line, with which we show our enthusiasm for hip hop, beats and vinyl in textile form. If your feet need to be well dressed too, it’s worth taking a browse through our sneakers shop. It offers a multitude of high quality sneakers from renowned manufacturers such as Nike, adidas, New Balance, Asics or Vans. 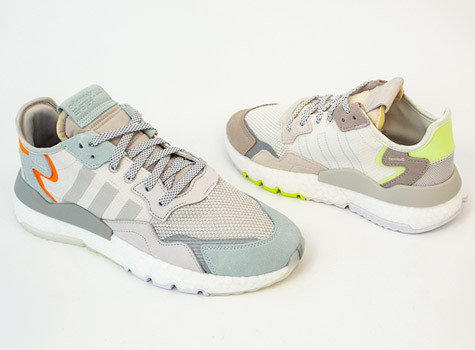 Hundreds of models in various styles and colourways are available immediately: running shoes like the Nike Air Max 1 or Nike Roshe Run, the adidas ZX Flux and the New Balance M996, basketball shoes like the Air Jordan series or skate shoes like the Vans Authentic and the Nike SB Stefan Janoski Max. No matter which sneaker you choose – every one of them is first choice. Over the years, quite a few things have changed at HHV. But we have always retained what makes us stand out: our love and passion for vinyl, trainers and urban fashion. In addition to this, quality and authenticity are amongst the central values that inform our mission statement. There is no ‘empire’ behind HHV, just normal, down-to-earth people. We stayed true to the Friedrichshain neighbourhood from the start, and also held on to our local store, the HHV Store. We like to celebrate at concerts and parties, preferably together with our customers. We come to work by bicycle, and many of us have already been spotted pushing a pram too. We are planning for the future – in a very natural way. Here you find what's left over from this year's Record Store Day titels. Now available online and ready to be ordered!